It's very similar to Skyrim's legion armor, but in my opinion far more unique and interesting looking. Isn't TESO set in the pre-empire empire. That is lost to history? I'm all for new armor. But for the empies I kinda think we should keep it consistent with the morrowind version. Maybe with an armored skirt, and a slightly different colour scheme to denote a different legion within the empires armies.....Has it ever been stated with any certainty how many legions the empire has? Going by Report: Disaster at Ionith , there are at least 17 legions. Maybe some of the armors from the video could be used for Imperial Palace guards. Some kind of elite Colovian praetorian guard. But I do rather we stick to Morrowind designs. Like Rattfink says, we could change the colour of the skirts and shields from purple to red and maybe retexture the cuirass to depict something different. Or we could have 17 different colours spread out in different forts and such. 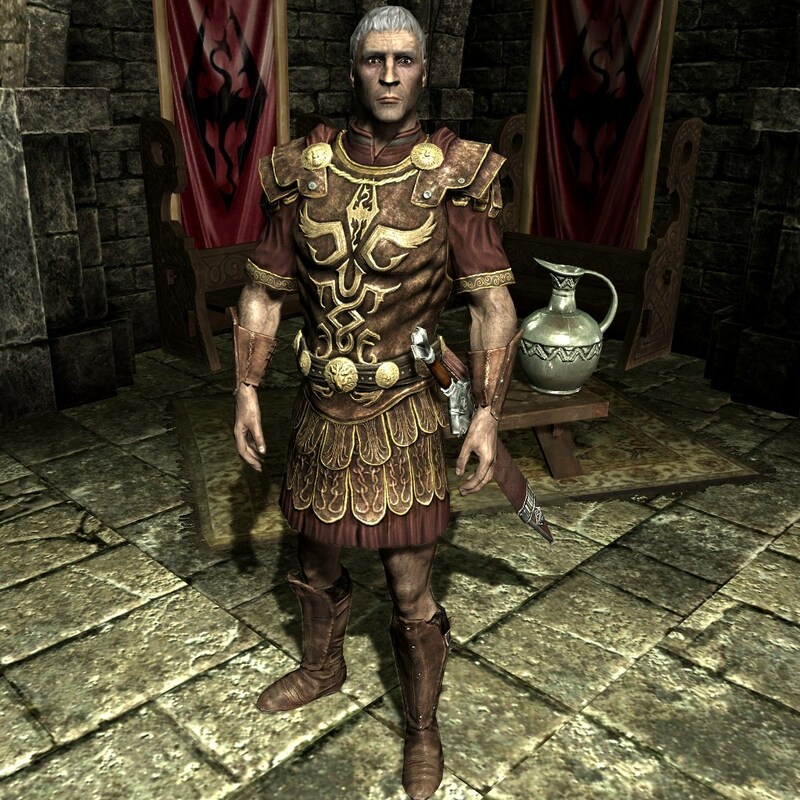 I think there's room for growth with Morrowind's legion uniforms (I always thought it was a bit ridiculous that nearly every legionaire wore that ornate steel armor). For instance, we've got a silver cuirass with no pauldrons, greaves, boots, or gauntlets associated with it in the vanilla game (there's a helmet, but it's terrible looking), we could make the extra armor pieces for that based at least somewhat on this. I've said before that I think we need a light legion armor, probably leather-- something like this video would be mighty cool. Found this drawing at TIL. I think it's the work of Michael Kirkbride. I know you can't see too much of the legionnaire's armour, but there are a few things worth noting. Like the Akatosh symbol on the pauldron, the Ruby on the shield and details of the helmet, like the noseguard. For the chest piece I'm thinking leather, somewhat like Tullius' armour here sans the golden designs.. but maybe keeping the Akatosh, or this could be something that varies by legion, showing different gods or heroes. 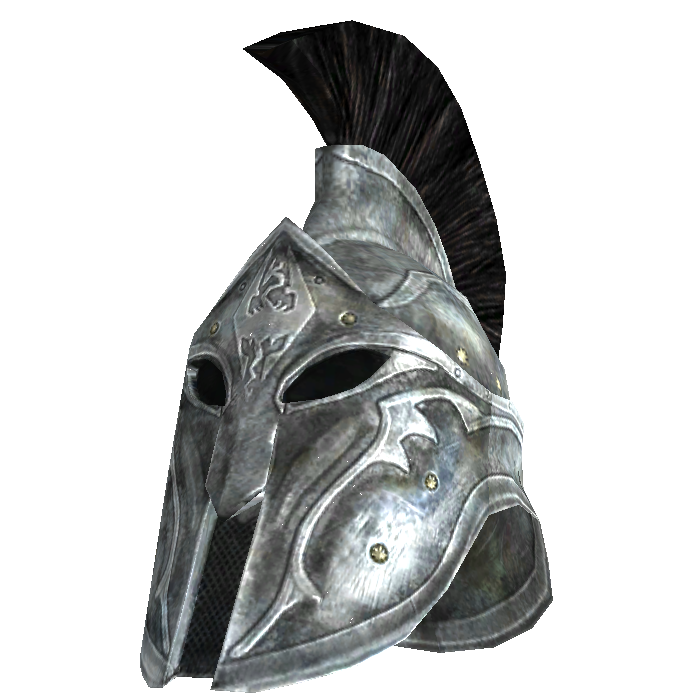 I don't know about most commonly- two games (Morrowind and Skyrim) has depicted them with metal plumes, and three (Oblivion, Skyrim again, and TESO) have had the horsehair plume. I don't think there's any meaningful reason we couldn't have both. Well, I'm not proposing eliminating it. It would be great to see some colovian warlords with elaborate plumed helmets. I'm just thinking that the metal plumes should be more common since it appears to have some continuity, and it would also set the Cyrodiilic legions apart from the Roman legions. It's a Roman influence, but with a twist. Similar things are seen in the Knights of the Nine and Skyrim concept art, sometimes ithe crest is just a dragon, which is pretty cool. I can't look at those concept arts (or Skyrim's) without getting sad. Adam Adamowicz was the best thing to ever happen to the series.